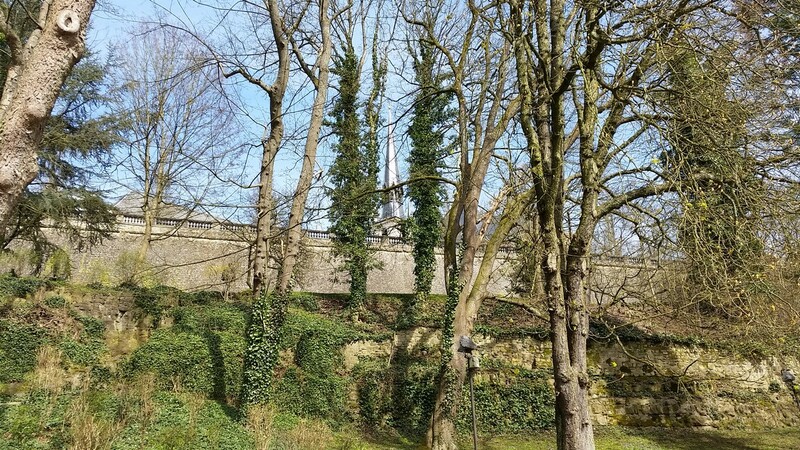 Want to have a great work life balance then Luxembourg is the best choice.Explore the top 10 best places to see and things to do in Luxembourg City. 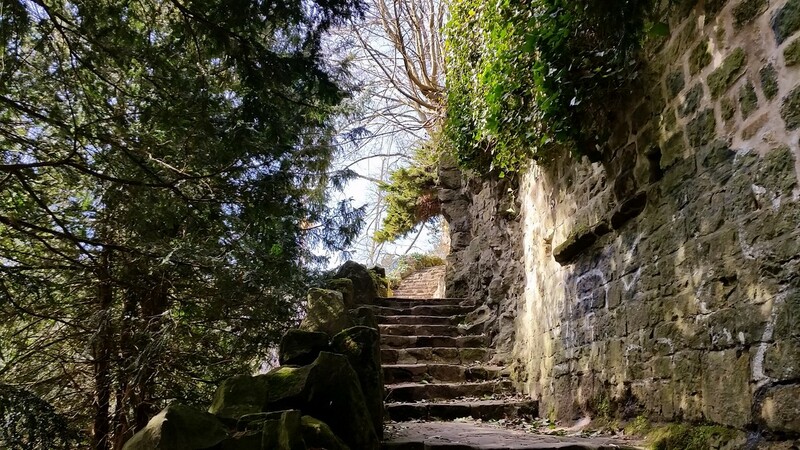 With a setting to make Byron or Shelly jealous, the Petrusse combines steep slopes, strange rock formations and the ruins of fortifications and bastions into a beautiful park that will take your breath away. 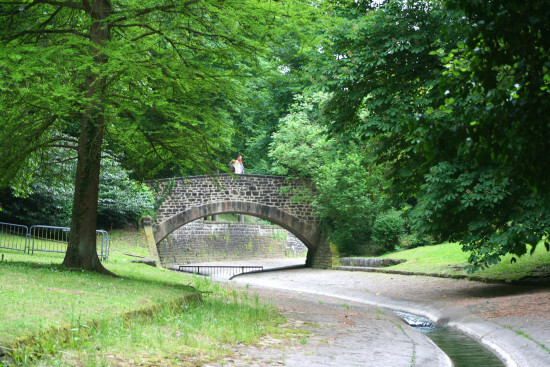 Slightly hidden away from the hustle and bustle of the city, the Petrusse valley Luxembourg with its extensive parks represents a hidden gem that is one of the unique features of the city. During countless millennia, the Petrusse inexorably carved its path into the hard rock, to create a large valley that became heavily fortified over the course of the 16th to18th century. The huge fortifications walls, some of which are over 50 meters high and made out of millions of stones present an awe-inspiring sight that drawfs visitors at the bottom of the valley. The gaping dark holes within the walls, well visible along the footpath of the Petrusse, indicate where once cannons guarded the valley jealously to deny access. 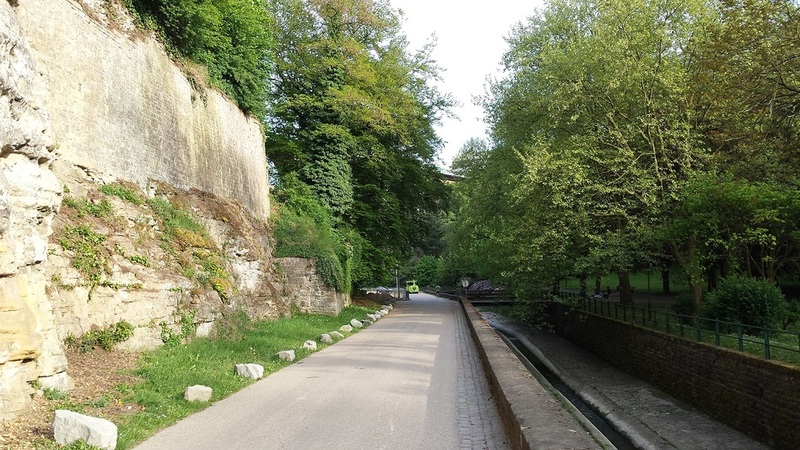 With the tranquil Petrusse peacefully flowing past the ruins, the steep slopes on both sides leading back to the city and its strange rock formations, a walk through the valley is a must-do when visiting Luxembourg. 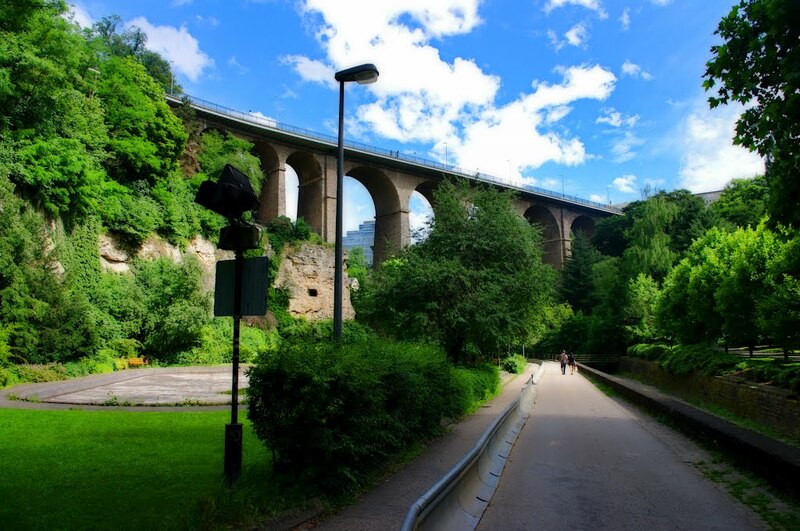 The valley is bridged by one of the iconic bridges of Luxembourg, the pont Adolphe (‘aal Bréck’), built around 1903. 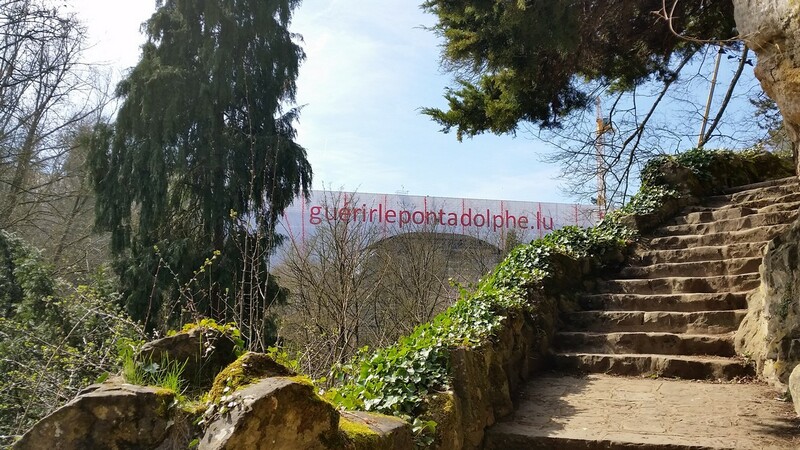 We suggest this to be also one of your starting points and from there you can walk down into the valley and continue towards the ‘Passerelle’, the 2nd bridge, and the former citadel leading to ‘the Grund’. Finally take the elevator at ‘Holy Ghost’ to get up to the top of the city again. Overall walk distance is about 1.5-2km. 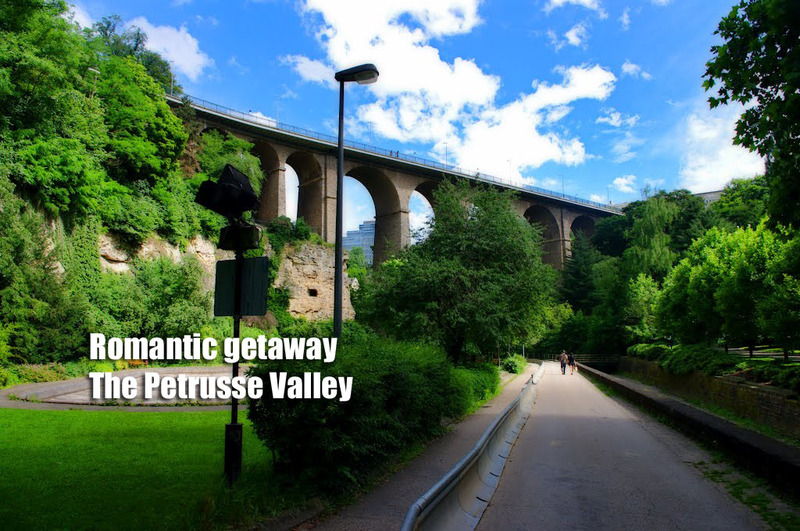 There are in fact numerous access points into the Petrusse valley, most notably also next to the ‘Golden Lady’, Luxembourg’s national monument at the ‘place de la constitution’. (The stairways are a little bit hidden, about 50m from the monument itself). You can combine a walk along the Petrusse with visiting the Casemattes either at ‘Place de la Constitution’ or the ‘Bockfels’. 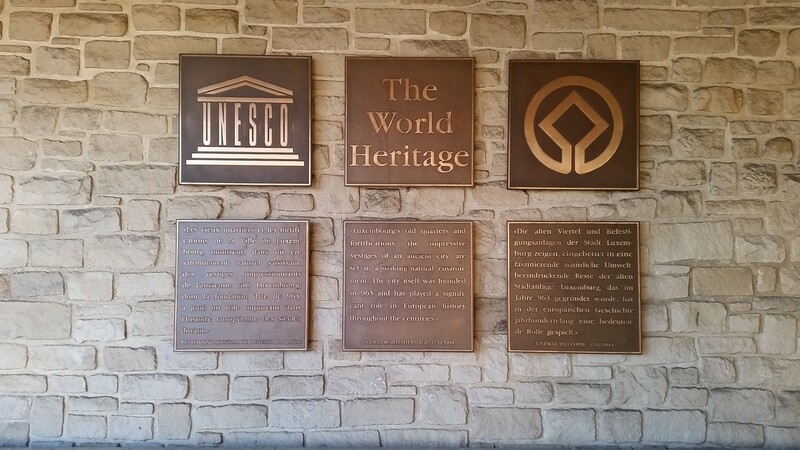 The Luxembourg city tourist office (LCTO) has information on both. location Start: Pont Adolphe, walk down a little road next to it. Once at the bottom of the valley, proceed towards the citadel and the city judicaire on the 'Holy Ghost' plateau. 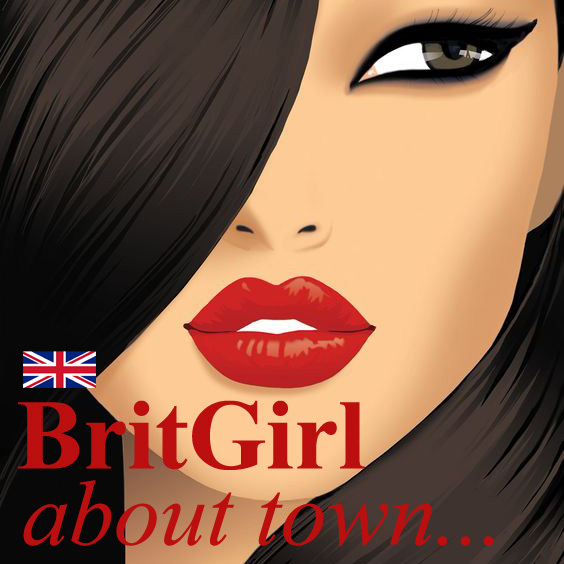 End Users are fully aware that the opinions and reviews expressed on this website are the subjective view of individual reviewers only. The Urban Fox cannot be made responsible or liable for these nor for any damage or loss of money due to the use of the website.